“Death steals everything but our stories”. 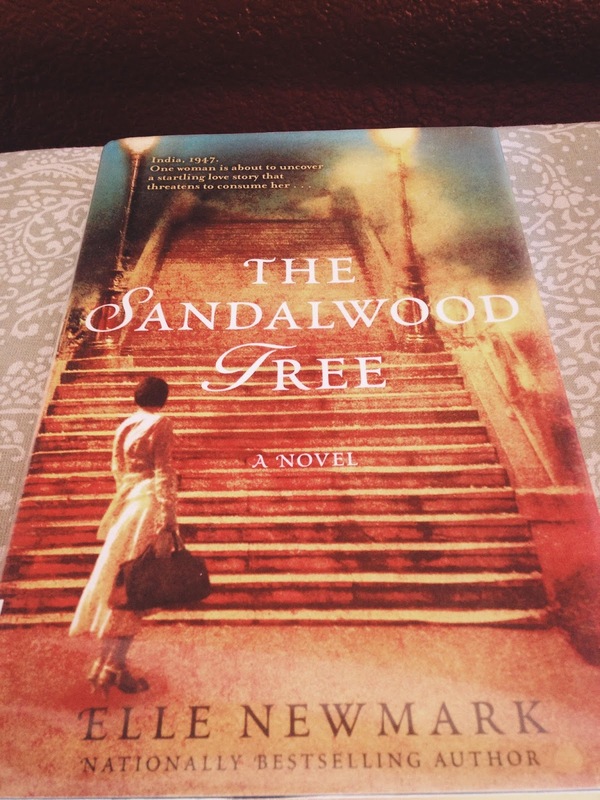 The Sandalwood Tree begins with this quote from one of its main characters, Adela Winfield, a ‘memsahib’ living in India in 1857. It’s her stories that are the backbone of this book. This historical fiction alternates between two stories, ninety years apart, both set during volatile times in India – 1857 and 1947. It starts with an American family – Martin, his wife, Evie and their son Billy, arriving in India in 1947. Martin is an anthropologist who has been tasked with documenting the end of British rule in India. Evie convinces Martin to take her and Billy along, secretly hoping to save their failing marriage. Martin is a World War II veteran who has some dark secrets from his time in Germany, which have turned him into a recluse. They settle in an old colonial bungalow in Simla where Evie discovers some old letters hidden behind a loose brick in the kitchen. The letters date back to 1857 and they pique her interest, although she cannot make out most of the fading letters. They involve two English women, Adela and Felicity, who lived in the same house, ninety years earlier. Evie is determined to find out what happened in that house and why their letters were hidden. Her quest for Adela’s and Felicity’s stories lead her to temples and bazaars of India and she eventually finds Adela’s journal hidden in the sandalwood tree in the courtyard. Adela chronicles her life in England, where she first meets Felicity – a friend who goes on to become her sister and lifelong companion, her journey to India to join Felicity, and an improbable love story during the Sepoy Mutiny of 1857. What I loved most about this book is how well the author has etched its characters. Evie seems very real, in that although she’s obsessed about Adela and Felicity’s stories, she puts them all on the back burner when her son, Billy goes missing. Adela and Felicity are amazing women, ahead of their time. They live alone in Simla in 1857, when India’s first war of Independence started, a time when the British were looked upon with anger. They are rebels, not wanting to conform to their parents rules about finding a fine Englishman for a husband. Martin’s dark secrets are revealed too, which bring forth the horrors of World War II. This was a relatively easy read for me. That’s probably because I’m familiar with Indian history and its timelines. The author’s meticulous research shows. What is delightful is the author’s description of India – both good and bad, the sights and sounds of an India on the brink of unrest. The book also gives a great insight into the lives of women during the Victorian era. We see Partition through Evie’s eyes and the author tells it from the Indian and British perspective, which I found very interesting. But (there’s always that ‘but’ :)), I did not enjoy it very much from the ‘mystery’ standpoint. It kind of wimped out in the end. I was hoping for a more dramatic end to the letters, but midway through the book, I figured out the who the present-day connection to Adela and Felicity’s lives was. It was a dead give away and it dampened my interest after that. Although it is a well researched and historically accurate fiction, it won’t be on my list of favorite reads. Thank you! Next on the list is your recommendation – William Dalrymple. I hope I get it in the library!